You may think that sweet potato pie tastes just like pumpkin but you are wrong!! Sweet potato pie, if made correctly has a totally different taste than pumpkin. Yes, it is made like a pumpkin pie but the end result is different. This is What's Cookin on Beaty's Creek today. Mash your sweet potatoes with both sugars, salt, and butter. A few lumps are fine. Now add your eggs, vanilla, and evaporated milk. Stir very well. Now pour into a chilled pie crust. Bake at 425' for 20 minutes and them lower oven temperature to 350' and continue to bake for 40 minutes. You want to be able to insert a knife and have it come out clean in the center of pie. 1 hour was fine in my oven. Serve warm with whipped cream! 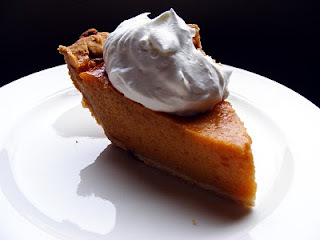 I love sweet potato pie and hate to admit that I've never thought about making it. I've been on a 'from scratch' cooking "rampage" lately and I can't wait to make this pie. Looking forward to exploring the rest of your recipes!